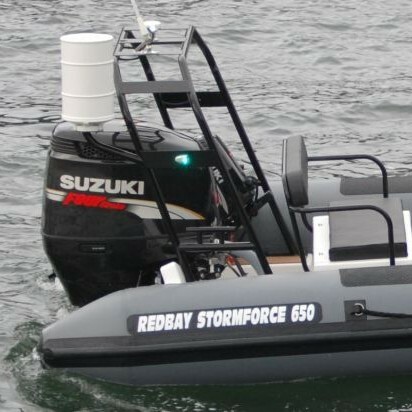 The Redbay Stormforce 650 model is a development of the highly successful 6.5. 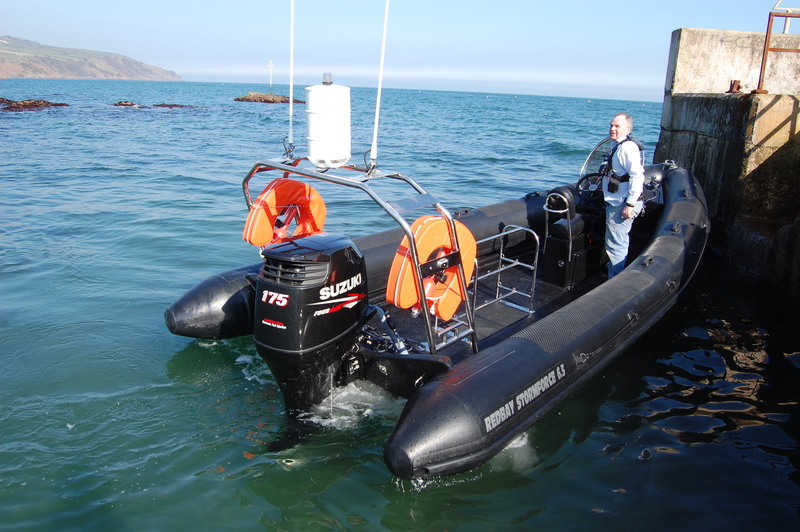 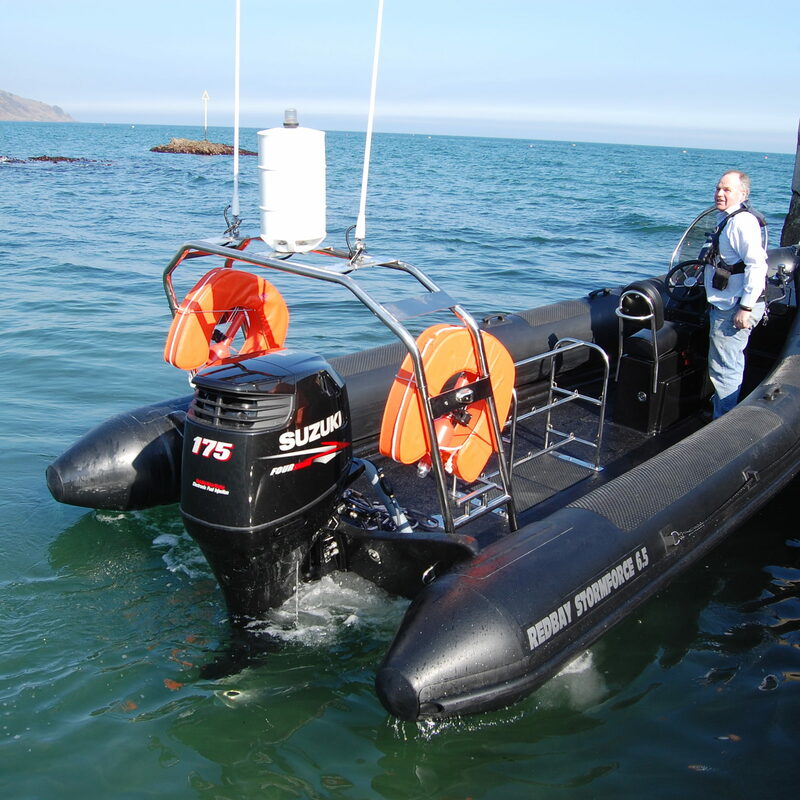 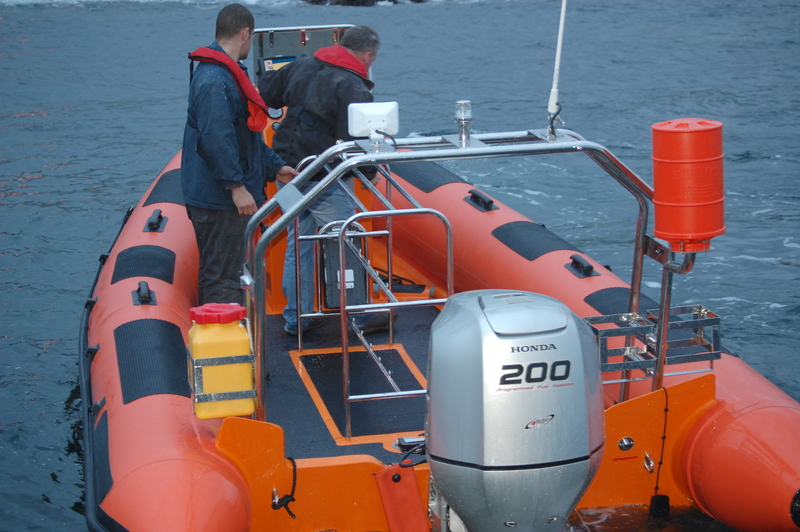 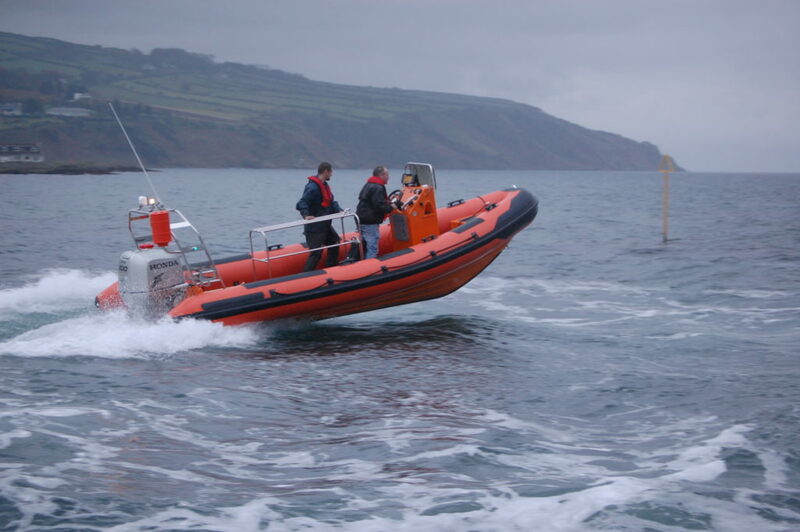 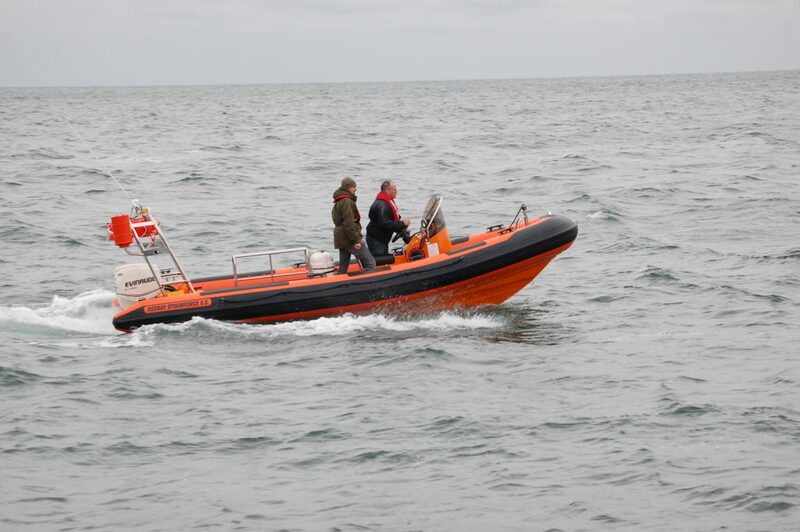 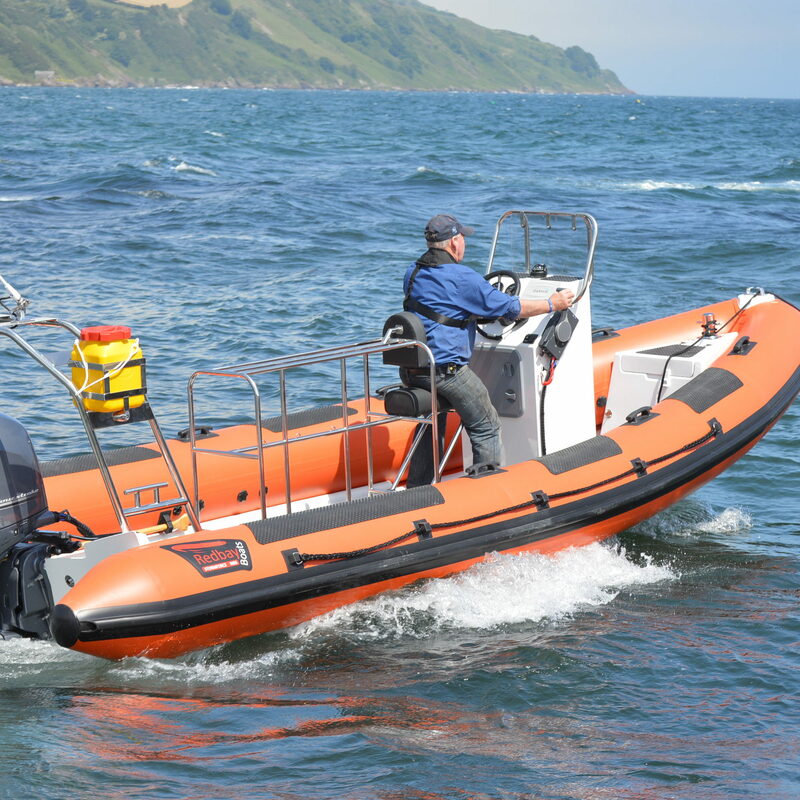 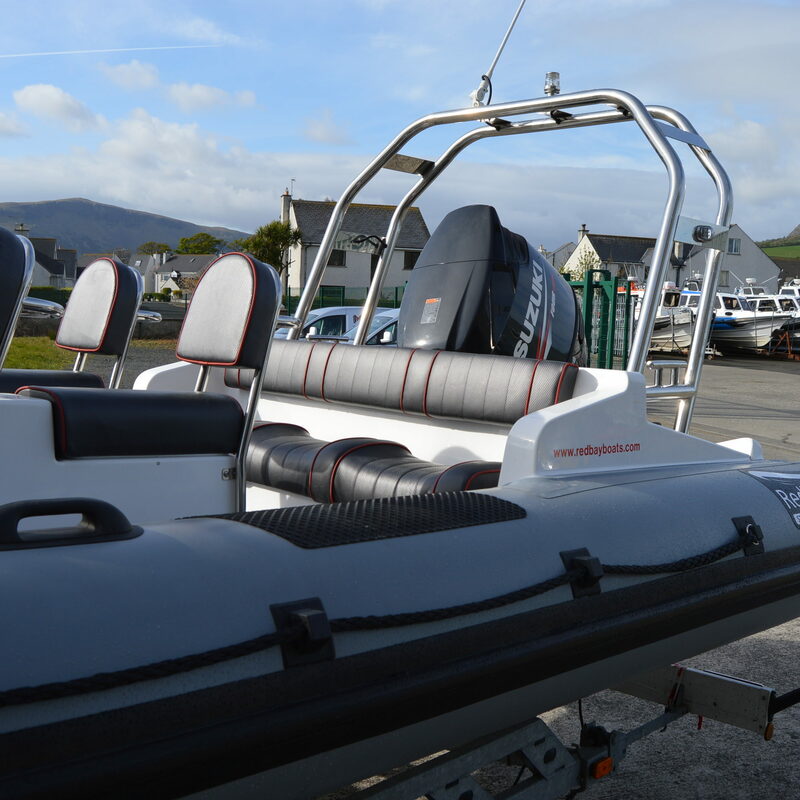 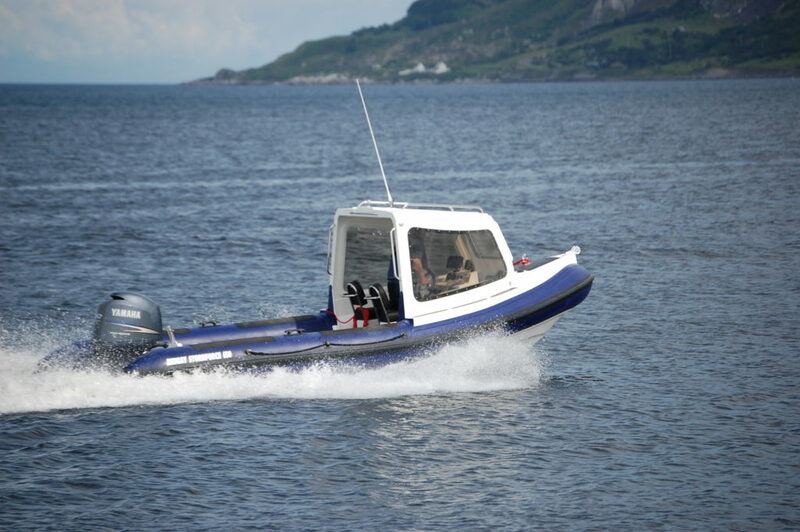 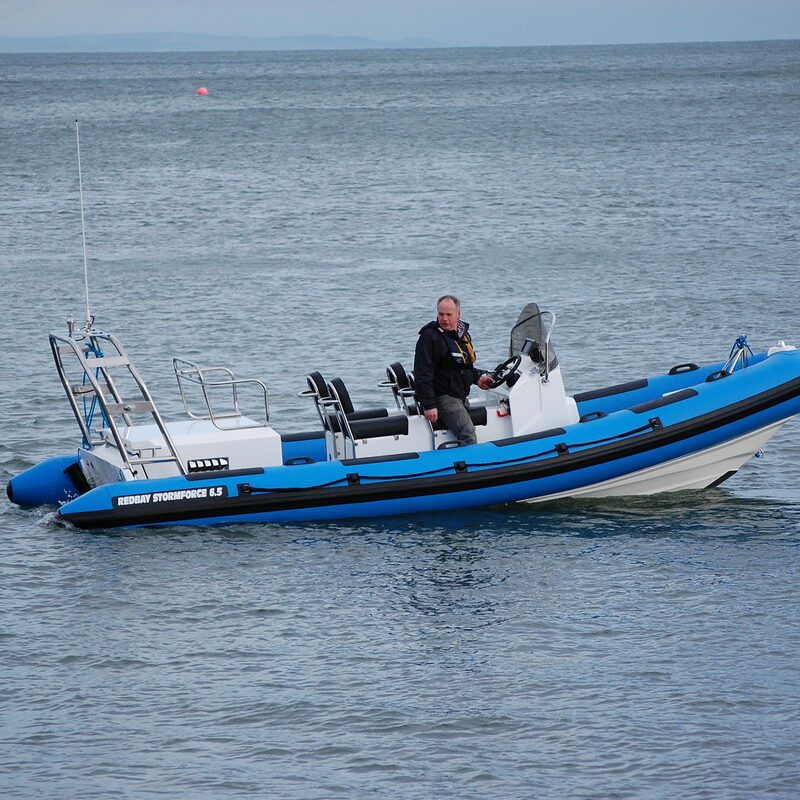 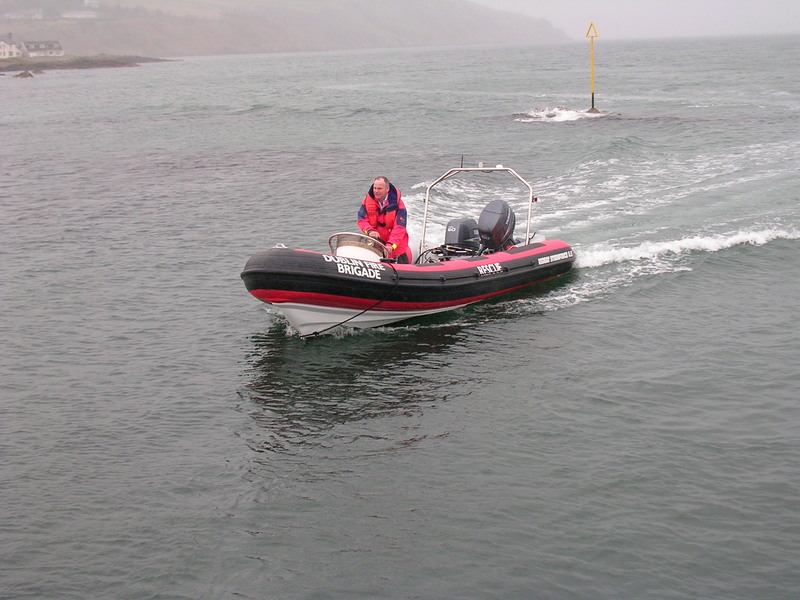 The rib has successfully completed several Round Ireland trips and has been used for Airport Rescue, Dive Support, Fisheries Patrol and Sailing Club Rescue craft as well as leisure craft. 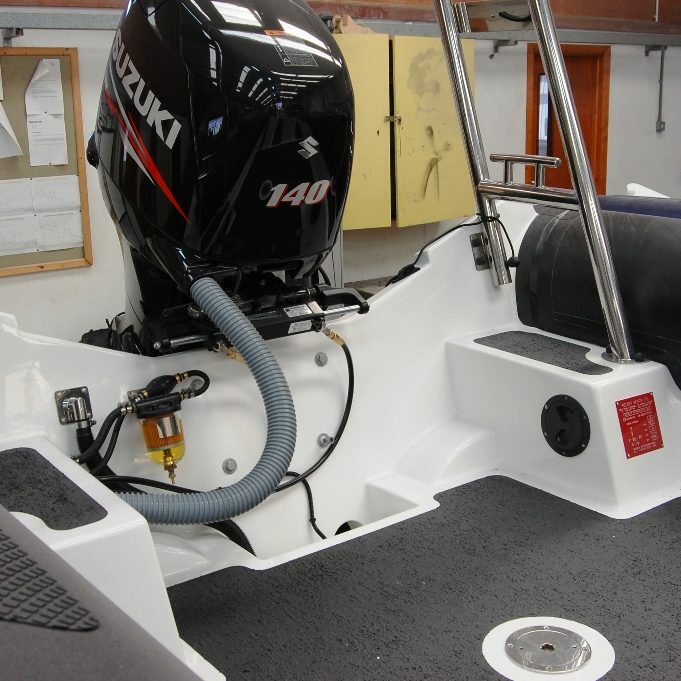 The 650 features a fully moulded internal deck, which gives a fresh clean appearance, and is easy to maintain. 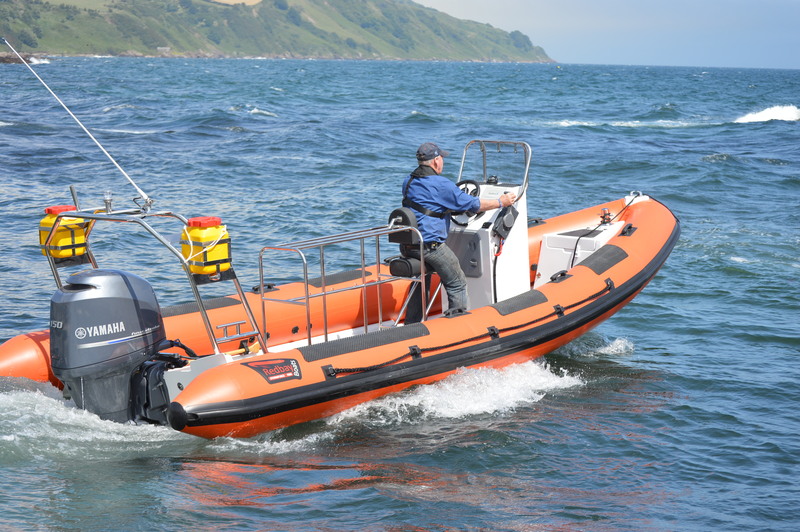 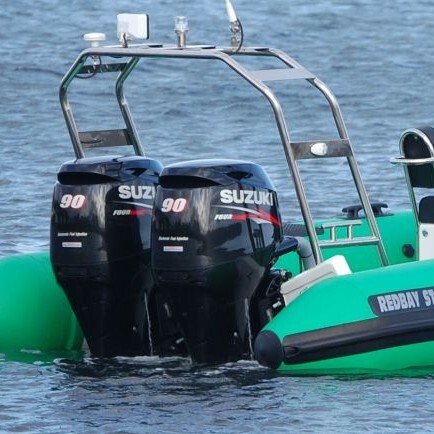 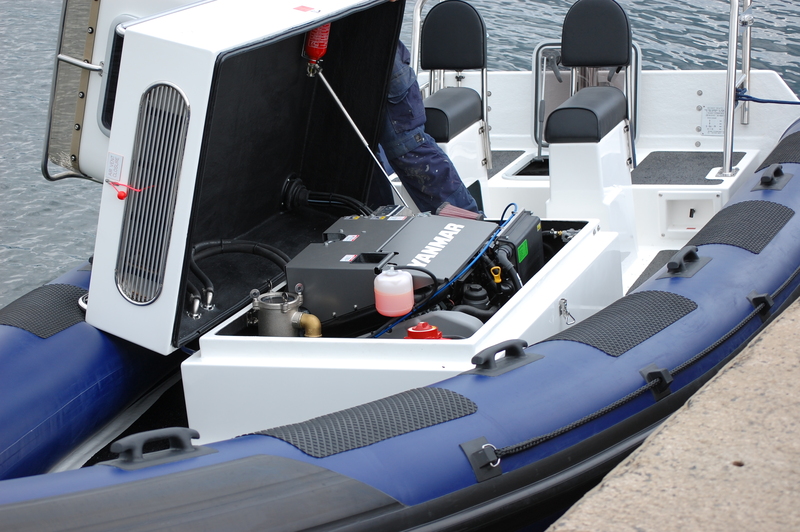 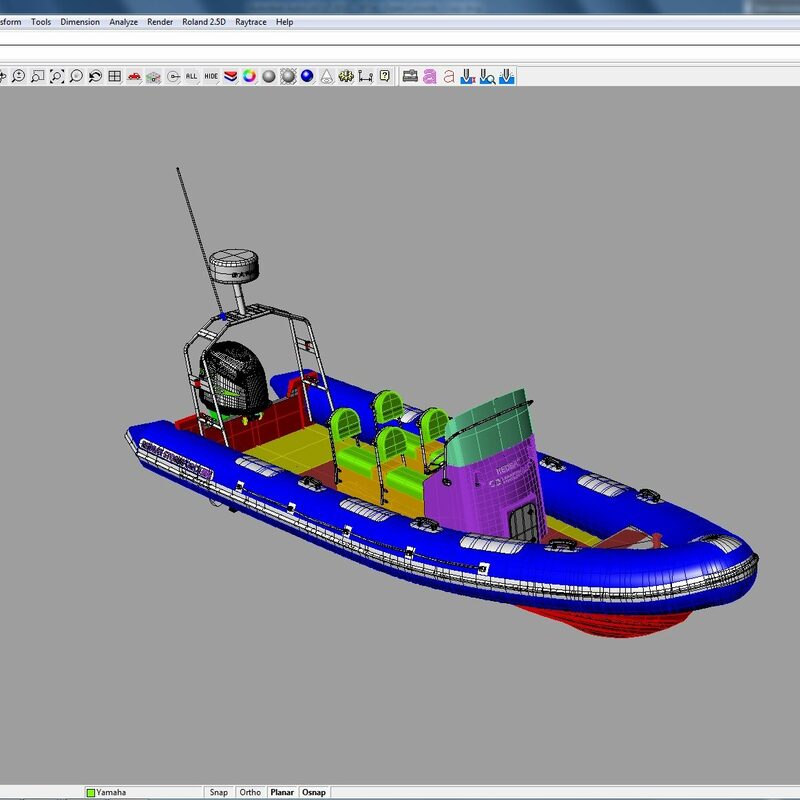 Commercial configurations include Dive Boats, Rescue, Police etc, with a list of extras such as Bottle Racks, Pot Haulers, Radar, AIS, Self Righting A-Frames, Commercial Coding and Life rafts. A GRP Cuddy cabin can be fitted to our 650 model which gives passengers great coverage from the elements. 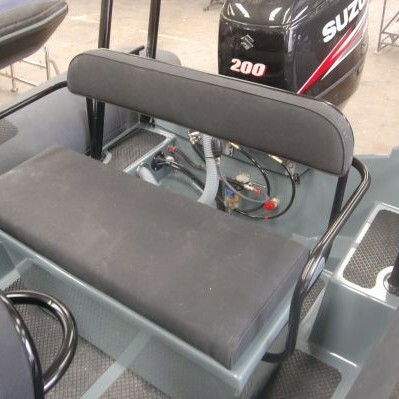 It also moves the helming position forward providing more space in the rear deck, making this arrangement perfect for fishing or sea tours trips. 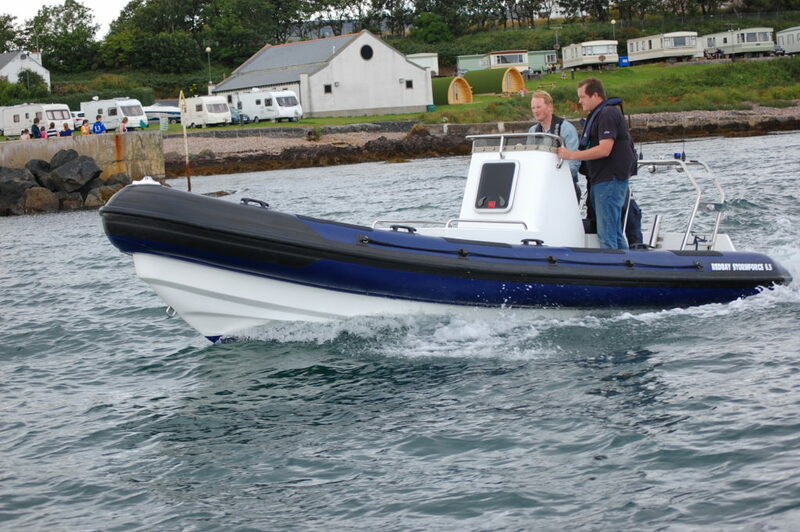 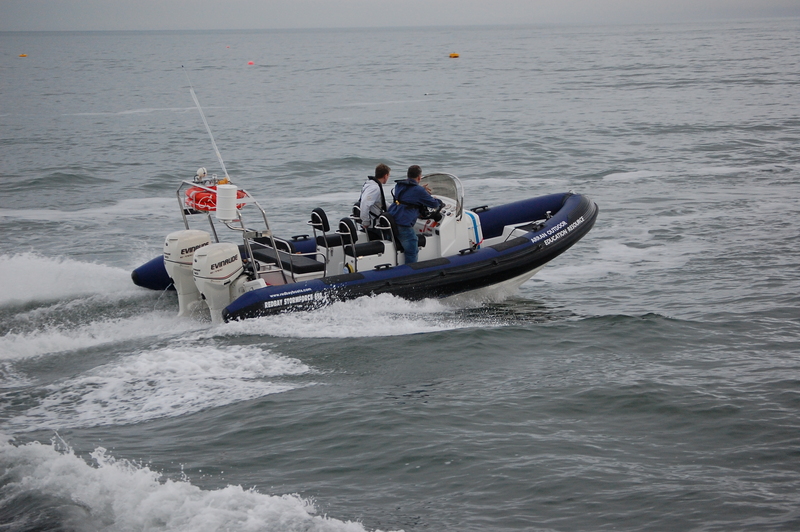 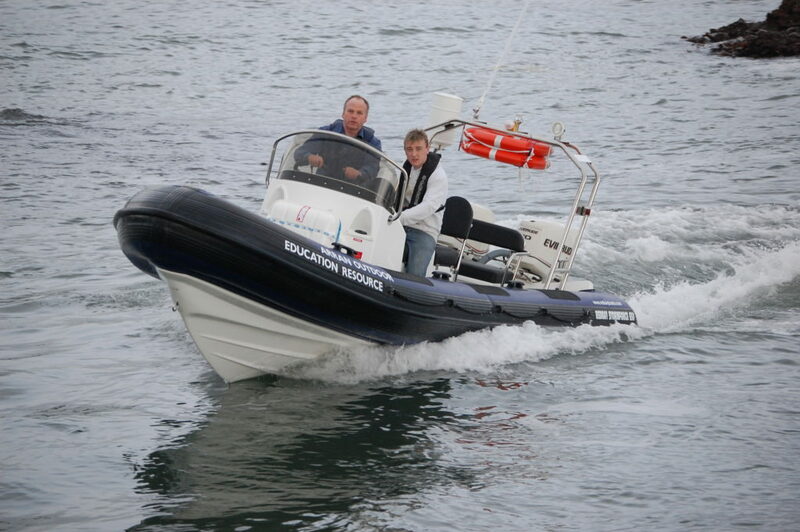 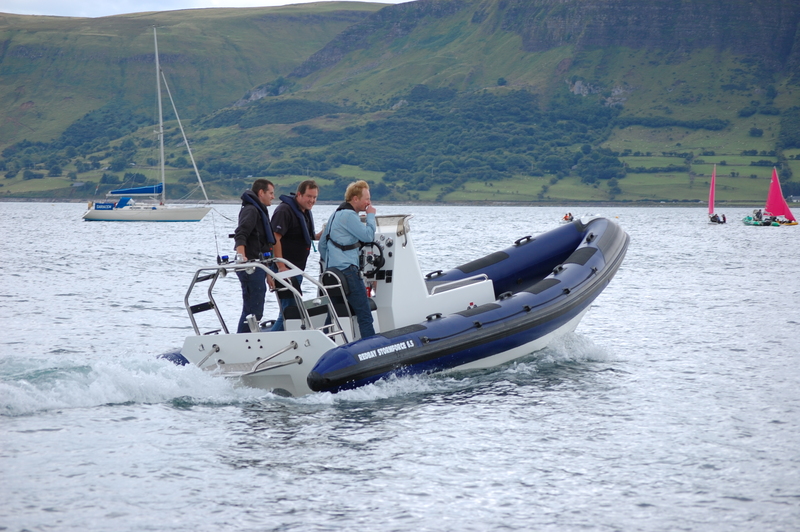 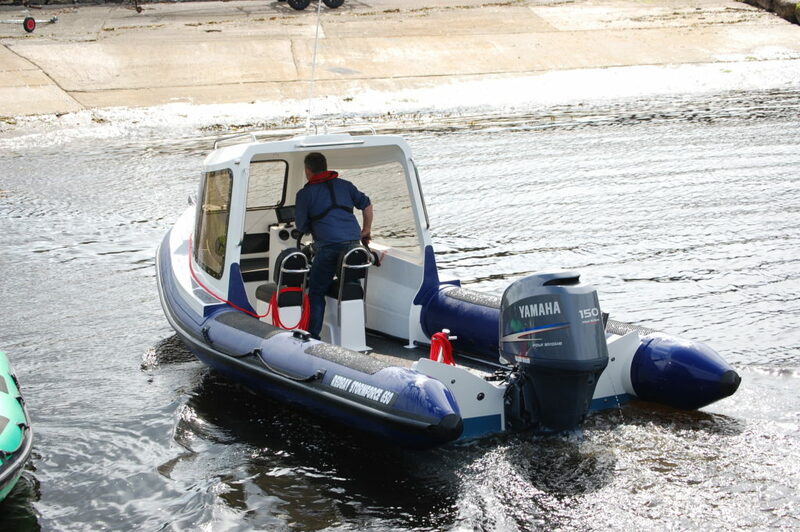 The 650 has one of the best handling hulls in its class and can easily out-perform larger rival RIBs in rough weather. 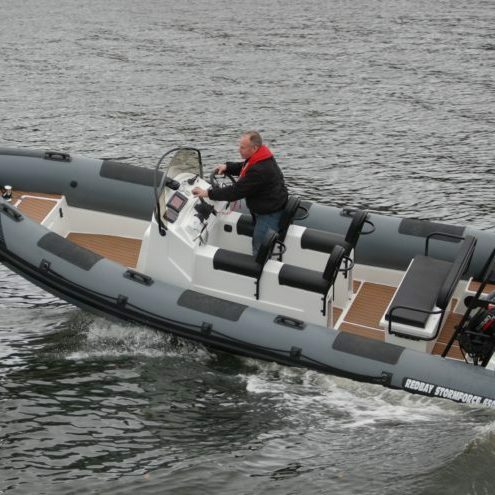 Although the basic hull is that of the Stormforce 6.5, the 650 features a redesigned bow, sheer lines and can be fitted with either 18″, 19″ or 20″ diameter tubes, making for a stable craft in any sea condition.